Don’t miss the latest coupon and promo code, available for this week at Michaels stores or online. 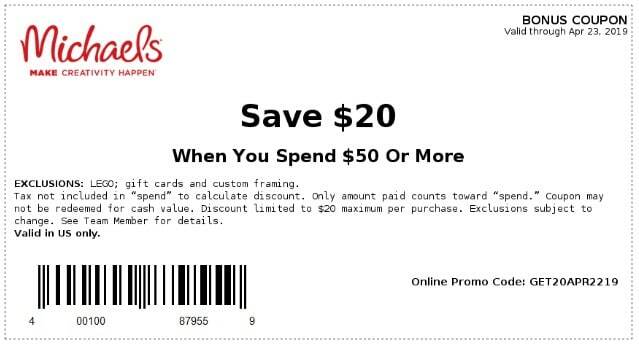 Find the Michaels Coupon – Save $20 When You Spend $50 or More – valid through April 23, 2019. View Michaels Ad Sale for this week. Limit one coupons per product. Limit one coupon of each type per day, and to stock on hand. Some exclusions apply and are subject to change. May not be applied to prior purchases or combined with any other coupon, sale or discount. Get Free Shipping for Online Orders of $49 or more, and Free In-Store Returns – No Promo Code Required. 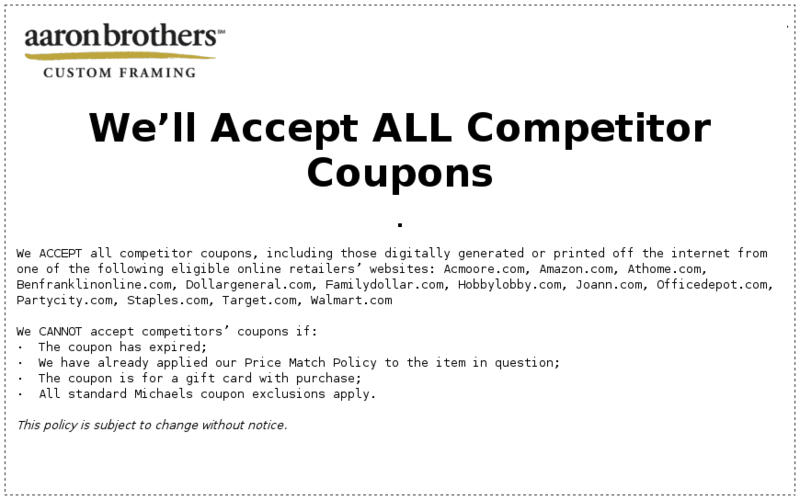 The retailer accepts All Competitor Coupons. Michaels mobile app typically includes coupon offerings 20 to 50% off storewide merchandise or select items. It also features Michaels weekly ad and their latest deals along with free perks program Michaels Rewards which provides access to exclusive, members-only deals and discounts. Michaels members can return items in store without a receipt using the Michaels Rewards number.